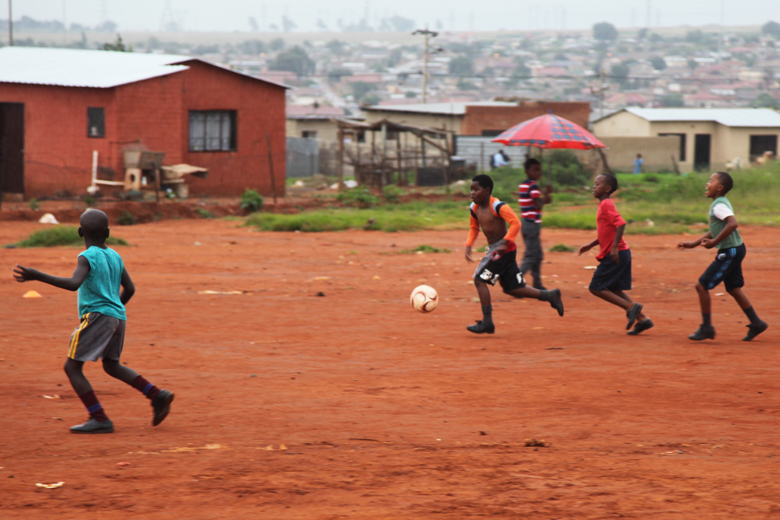 Summary (from the inside flap of the book): Just down the road from their families, Deo and his friends play soccer in the dusty fields of Zimababwe, cheers don by Deo's older brother, Innocent. It is a day like any other...until the soldiers arrive and Deo and Innocent are forced to run for their lives, fleeing the wreckage of their village for a distant promise of safe haven. This is a staggering story of survival that follows Deo and his brother on a transformative journey. Review: I do like a book that has sports in it, especially when the sport is soccer. And, I love books set in countries far away and different from the United States. 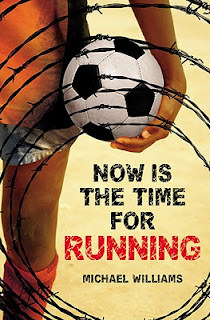 That means this book was meant for me; it's got a soccer playing boy living in Zimbabwe (southeastern Africa). However, Now is the Time for Running is so much more than a sports book. Yes, Deo plays soccer, but soccer is a means to keep him going, to help him through the tough times, and to bring hope to his tragic life. So, this isn't a soccer book, it's a humanity book in which the character happens to play soccer sometimes. Michael Williams has created a character that any reader can identify with. Fourteen year old Deo loves his grandfather and mother, goes to school where his mother is a teacher, and feels responsible for his brother, Innocent, who is older than Deo, but is mentally impaired. But Deo's life is shattered in the first chapter of the book when the President's soldiers enter the village and kill most of its inhabitants. Where should Deo and Innnocent go? How can they take care of themselves? Like the Lost Boys of Sudan they start walking, but at least they know some people in towns a few hours away who try to help them. The political situation in Zimbabwe is such that Deo is told to make his way to South Africa, which he and Innocent do. Their time traveling and their experiences once they arrive in South Africa make for fascinating reading filled with tension. It is even more amazing when the reader realizes that thousands of young people have made this journey in real life. Being a refugee and a foreigner in South Africa, like anywhere in the world, is no easy task. 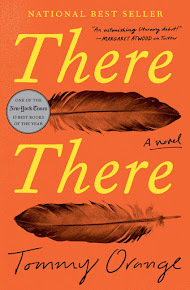 I don't want to give away any more of the plot, but much of it is based on real news accounts of events in the townships of South Africa in the mid-2000s. This is one of those stories where I find myself questioning humanity and our attitudes toward those who are different from ourselves. What I like about that ending is that even though we are left with a lot of unknowns, there is hope for Deo. Click to see my updated Google Map. Zimbabwe is a new country for me so that is exciting! I love it when I learn about a country's culture and history while reading a great story and this book did just that.